The greatest power forward of all time. I could end this article right there and that would literally be the perfect way to sum up the career of Tim Duncan. 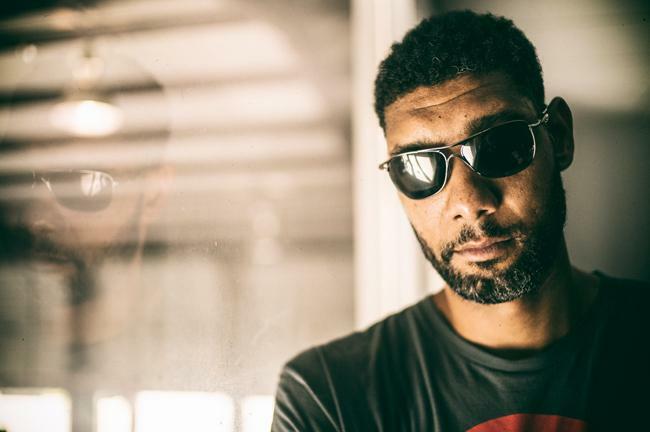 The recently retired Duncan has a legacy that might be the most underrated in NBA history to be honest. He holds so many distinctions and accolades in the game that it's surprising how underrated his legacy is. The story of Tim starts officially once he was the first draft pick in the 1997 NBA Draft, but his legacy was also honed and shaped during his college days as well at Wake Forest. Even before he got to Wake Forest, Duncan was focused on becoming a big athlete, just his main focus was in swimming, much like his older sister. While he was a teenage standout in swimming, Duncan was not destined to become Michael Phelps, rather his calling was on the court. He was destined to become the greatest power forward of all time. Shorrly after his mother's unfortunate death, Duncan would leave swimming behind and turn to basketball, something that would change his life forever. He struggled some at first, but in his high school career, he'd eventually get it figured out, and gain attention from multiple colleges. Duncan seemed to be focused and a quick learner, and with Hartford, Delaware, and Providence all being universities that were interested in him, he had his options. Of course, Duncan wanted to play for Wake Forest and compete in the ACC. His arrival to Wake Forest was an adjustment and alongside fellow ACC star player Randolph Childress, they struggled to really gain momentum in the beginning of the new era in Wake Forest. 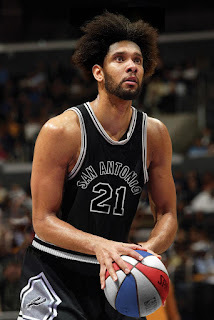 Eventually they would seem to finally get it right, and as the season went on, Duncan began to stand out more. He divided his time between the court and his studies, going for a degree in psychology, and taking some courses on Anthropology and Chinese literature. Tim was apparently one of the premier students, as well as a premier athlete, which is a rare feat to be honest. As he got into his 2nd season at Wake Forest, many suspected he would do what many star athletes did and leave college early to enter the draft. Duncan made a promise to his mother before she passed that he would finish college, and that certainly was a promise he would keep. 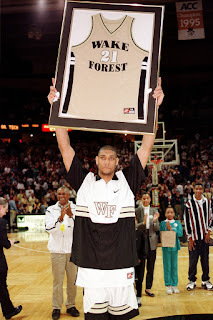 The last two years of Duncan's college career were formative and in some ways, groundbreaking for him. 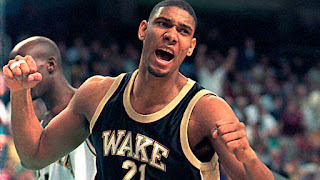 After winning the ACC Finals and making the Elite 8, Duncan ended up being awarded the accolade of ACC Player of The Year. He had won the ACC Defensive Player of the Year award the year prior, and he did it again this season, fueling rumors once again that he might enter the draft early. Tim stood his ground and finished out his senior year at Wake Forest, earning even more honors in his last turn for the team. While Wake Forest didn't win the ACC Title again, Tim was named ACC Player of the Year for the 2nd straight time. It seemed like this season was even bigger for him than his others, as he was named to the All-America First Team (his 2nd time), but most of all, he was an unanimous selection for the USBWA and Naismith College Player of The Year. He would also win the John Wooden Award as the best male overall player in the NCAA. With the honors piling up, it was only right that Tim would be selected high in the draft. He went as the no. 1 pick to the San Antonio Spurs, who were coming off an unusually bad season due to an injury to the Admiral David Robinson. With Tim selected at no. 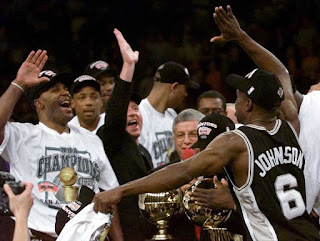 1, a healthy David Robinson, and a solid core of a team that was no longer injury ridden, the Spurs instantly became a top prospect to win it all. His rookie season was one that exceeded even the highest expectations, as Duncan adjusted very well to the NBA level of play, starting all 82 games in the season and earning a selection to the All Star game in his rookie year. He would certainly be seen as a top player on the season, earning the dubious honor of Rookie of the Year, alongside his first All-NBA First Team selection. With solid averages of 21.1 PPG, 11.9 RPG, and 2.5 BPG, Duncan had affirmed himself as the future of the game. Charles Barkley sung his praise as well, also christening him as the future of the game. Alongside The Admiral, Duncan would become a part of the Twin Towers, as he and Robinson were two dominant big men who were defensively sound and virtually unstoppable when they get into a rhythm. The Spurs would end up getting to the playoffs in his rookie season, but they would falter in the Semifinals against the Utah Jazz. However, the Spurs had the tools to get things together and it would be the very next season where they would do just that. The shortened 1999 NBA season saw the Spurs really get it together and they worked as a cohesive unit throughout the year and they breezed through the playoffs to make the NBA Finals. While many people thought that they should have an asterisk beside this Finals appearance (shortened seasons tend to be forgotten and not looked upon so well), they earned the right to be there and they would be heavily favored over the underdog New York Knicks. The Knicks would be no match for the Spurs and sure enough, the Spurs would make quick work of them in 5 games, winning the NBA Title. 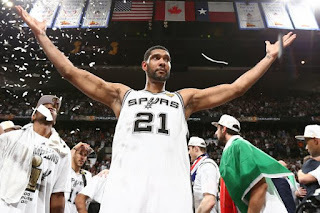 Duncan would be named Finals MVP in just his second season in the NBA and won his first title in just his second season. For the Twin Towers, it would cement their new partnership and it would set the tone for the Spurs being top contenders for following seasons to come. The following season would be rough for Duncan. He would assert himself as the leader of the Spurs, earning All-NBA First Team and All-Defense First Team honors yet again, before tearing his meniscus and missing the entire playoff season. It was a heavy pill to swallow, as the Spurs needed their leader, and without him, they lost in the first round to the Phoenix Suns. If anything, this would show us how vital and important to the Spurs that Duncan really was. After returning from injury the next year, Duncan ended up recapturing his old form and glory, and the Spurs seemed to breeze by their competitors In the playoffs making the Conference Finals against the defending champion Lakers. The Lakers would dominate the Spurs, kicking off a mini rivalry in the playoffs for years to come. The Lakers would seemingly have the Spurs number in the 2001 playoffs, but this wasn't the last time they'd meet in the playoffs. Far from it actually. 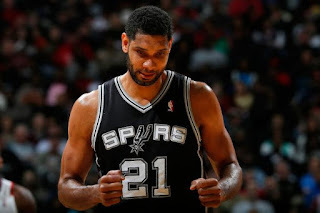 It was the next season that Duncan turned it up a notch, putting up some career highs and resting even more comfortably in his role as the leader of the team. David Robinson wasn't playing to the same level as he used to, so it was on Duncan to be the captain of the ship. How did he respond? By winning the MVP award. That's right, Duncan won his first MVP award on a season where he put up career highs and had the Spurs in position to make a run at another title. The only thing that stood in their way? The back to back champion Lakers. The Lakers and the Spurs would meet yet again in the playoffs, and the Lakers would once again get the better of the Spurs. Despite winning the MVP award, the Lakers still knew how to stop Duncan and the Spurs. 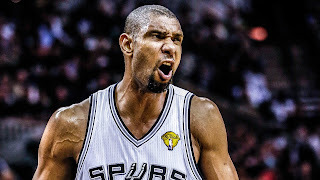 It would be a silent mission of Duncan to gain redemption on the Lakers and finally get back to championship glory. However, with the unstoppable Shaq and the growing juggernaut that was Kobe Bryant, it seemed as if Duncan would have a tough task. Well, that was true in some way, but Duncan got his head clear and found motivation the following season. His motivation might have been a bit heartbreaking in some ways, but it was necessary to push the Spurs going forward. What was this motivation? The Twin Towers were coming to an end. David Robinson announced his retirement early on, and made it clear that he would be retiring after the season concluded. With this reinvigorated feeling in David and Tim's leadership, the Spurs managed to get beyond the Lakers in the playoffs and make the NBA Finals as well again. Tim would pick up another MVP award here, as he would have yet another stellar season. 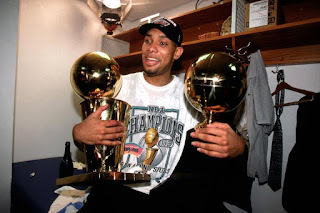 In what is poetic justice, David retired with a championship, Duncan got the Finals MVP award for the series against the Nets, his 2nd Finals MVP. It was a perfect send off for Robinson and the official passing of the torch. 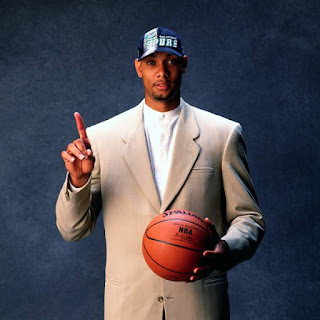 No longer was Duncan a part of the Twin Towers, he was now the lone Tower, there to lead a Spurs team that looked drastically different than the one he was drafted to. He had got beyond the Lakers, got another championship, so with that experience and the next chapter underway, the Spurs should be unstoppable, right? While extremely consistent in their playoff appearances over the years, and always a top contender, the Spurs would lose to the Lakers in the playoffs the following year, as that old demon returned to haunt him. After the 2004 playoffs finished, and the break up of Shaq and Kobe, along with the growth of newer stars like Lebron, Wade, Carmelo, Amare, Dwight, and others, the NBA felt like it was in a down period. The Spurs were never looked at as an exciting team and Duncan was never a really explosive player. 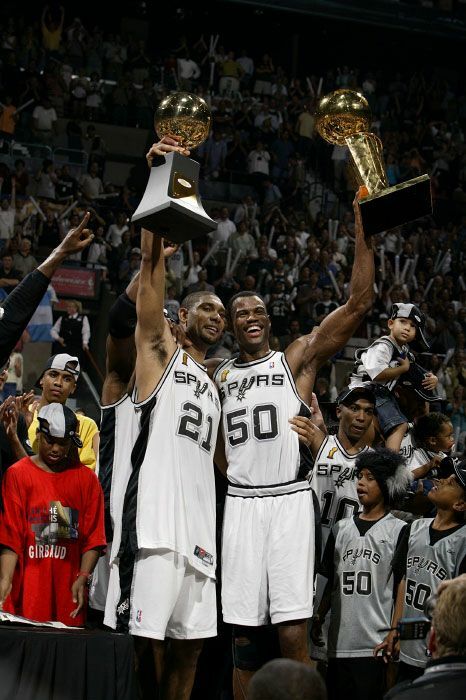 With the Pistons being the defending champs and the Lakers not being the powerhouse anymore, the Spurs emerged as one of the more dominant teams and the 2005 Finals was a true testament to that. The Spurs and Pistons went 7 games and the Spurs walked away with the win and Duncan walked away with his 3rd title and his 3rd Finals MVP, an amazing feat. Duncan had the fundamentals of the game down completely and he had such a multifaceted game that he excelled so effortlessly at what he did. The 2005 Finals was the greatest example of that in many ways. With this 3rd title, the Spurs would be revitalized and literally be considered the best franchise in the NBA at the time. Outside of the Lakers 3-Peat and the Pistons big title win, the Spurs took 3 of the last 7 NBA Championships during that period. Though they didn't win back to back, they were a force and probably the most dominant one during this era. 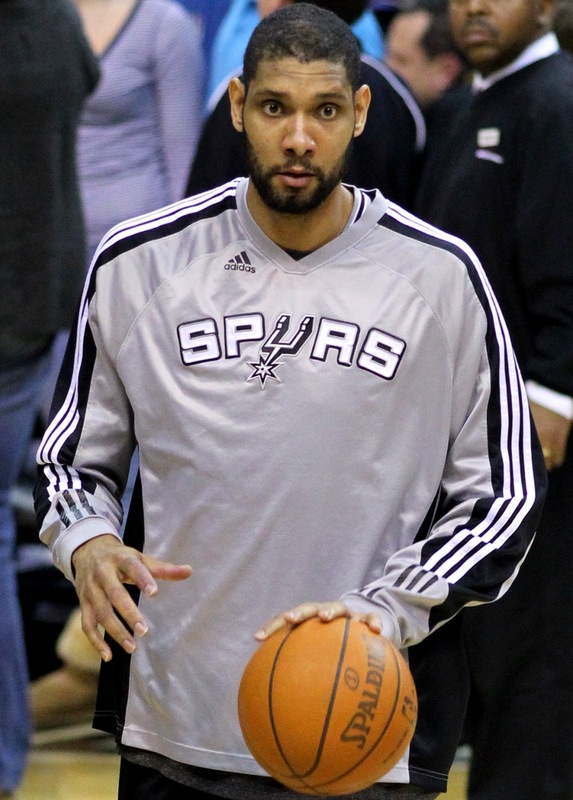 Duncan suffered from injury the following season and would not produce the same. The Spurs almost got to the Conference Finals, but came up short in a game 7 against the Mavericks, who would make the Finals. Duncan played amazing in that game 7, but couldn't will the Spurs to victory in OT. 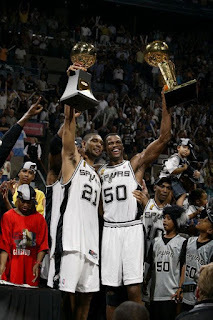 Regardless, after that season, Duncan regrouped and came back pretty strong, leading the Spurs to the 2007 Finals and the 4th title in 9 seasons for the Spurs, an amazing feat. 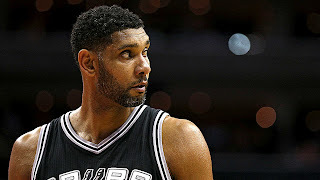 Though his play in the Finals wasn't AS good as he wanted it to be (was still good), Duncan was still one of the main reasons that the Spurs made it there to the Finals. In reality, he was the biggest reason they made it there. The consistency in Duncan's play is what kept the Spurs so consistent in the playoffs. The next season would be challenging for Tim, only for one reason: an old demon returned. 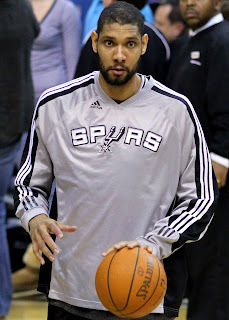 While Duncan had been able to lead different groups to titles and playoff success as the team leader, since winning his first title, he had only overcame the Lakers in the playoffs once. He lost 3 times out of 4 to them in the playoffs since 1999, and after pushing the Spurs to the 2008 Western Conference Finals, he would face a familiar adversary. The Lakers and Spurs went at it to see who would make it to the 2008 NBA Finals. The Lakers would come out victorious here and we would see the Spurs go back to the drawing board. 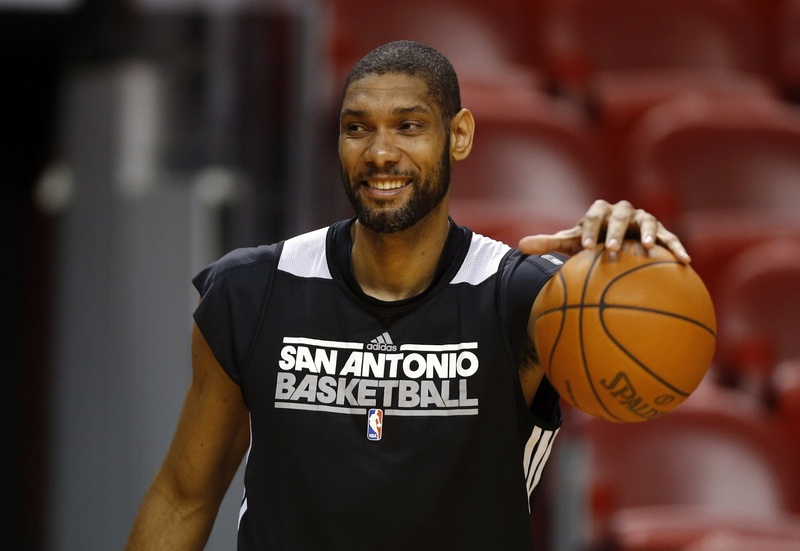 Some of their players, Duncan included was getting older and producing a bit less than before. Still, Duncan kept a high level of play and after losing 4 out of 5 playoff matchups to the Lakers since his first NBA Title, Duncan and the Spurs ran into another brick wall..... the Dallas Mavericks. The Mavericks would eliminate the Spurs in both the 2009 and 2010 playoffs, much like they did in 2006. The Spurs had ran into a wall with the Lakers and now the Mavericks. While both are classic rivalries, it's just interesting to note that these were the teams that Duncan and the Spurs couldn't handle. After a rough 2011 season, where he battled with nagging injuries, and a quick first round playoff exit despite being the no. 1 seed, the Spurs regrouped and made it to the 2012 Western Conference Finals to take on the Oklahoma City Thunder. Surprisingly, this would become a rivalry for Duncan as well in the future, as his career began to slow down, but we'll get to that. Duncan and a renewed Spurs were close to making the Finals again..... and the Thunder stopped their hopes. Another wall of sorts for Duncan? Perhaps. It would be the 2013 season where he would see some form of redemption, but a fatal mistake cost him his elusive 5th championship. After making quick work of an injury ridden Lakers (a former demon in his career, that was without their star player Kobe Bryant and Steve Nash), a hungry and on the rise Warriors team, and the Grizzlies (who beat them 2 years prior in the first round when they were the no. 1 seed), the Spurs would be back in the Finals. To be fair, the Spurs didn't lose in the Finals. They hadn't so far with Tim at the helm. And to be completely honest, they shouldn't have ever lost. The 2013 Finals is one of the best I've ever seen. It was Lebron, Wade, Bosh and the Miami Heat taking on Duncan, Manu, Parker and the Spurs. The Spurs had it won in game 6, but Coach Pop made the mistake of taking Duncan out of the game, which still makes no sense now, and a late game run by the younger and faster Heat team led to a crucial Ray Allen three that tied the game and shifted the momentum. The Spurs were merely seconds away and with Duncan on the floor, they would have gotten the rebound and won the game and the title. Unfortunately, the Spurs missed out on the title, but that fatal mistake would fuel them to make their first back to back appearances in the NBA Finals, and this time, they didn't get careless. 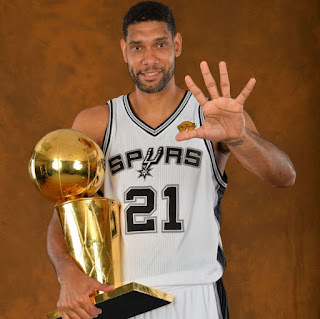 They won the 2014 Championship and gained that 5th ring for Tim. However, they also got rid of some of those brick walls on the way to the title, making it even sweeter. The Spurs got beyond the Mavericks in 7 games, the Spurs took out the Blazers easily, and they avenged that 2012 loss by beating that Thunder in 6 games to make the Finals. In a true moment of redemption, the Spurs righted the wrong of last year and avenged the Finals loss in 5 games in a rematch with the Miami Heat. This was the time that you could see another shift in the Spurs organization. Duncan had been in the game since 1997, and here we were in 2014.... 5 titles, 3 Finals MVPs, 2 MVPs, a ton of all star selections, and a whole lot of accolades later. Retirement was looming. Truthfully, you'd think this was the perfect set up for Duncan to retire. Avenged a Finals loss and came back to win the title the next season. Beat all of his rivals in the midst of this as well. It was a beautiful set up and would have been a great way for Duncan to retire. The issue here is that Duncan just wasn't ready yet. He had already become the highest scoring Spurs player in history and by design, he's the greatest Spurs player ever. 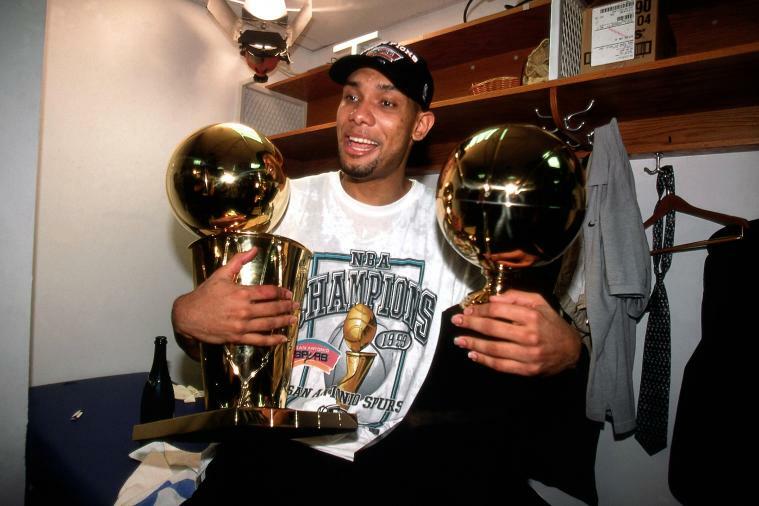 What seemed to drive Duncan is the feeling of wanting to go back to back with titles. He had just accomplished back to back Finals appearances, so why not go for one more title and make it 6 championships? Unfortunately, that wasn't to be. After a tough first round loss to the Clippers in the 2015 playoffs, the Spurs acquired some great players and were easily a one or two seed in the West just on paper alone. However, in his final season, Tim would see a reduced role, and while the Spurs went 67-15 on the season as the no. 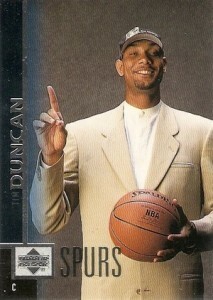 2 seed, Duncan seemed like he was in prime position for retirement. It was almost that time. After a tough 2nd round playoff loss to the Thunder, it looked as if Duncan was willing to come back for one more year and try to get that 6th title. However, something changed and in July, he announced his retirement. Duncan left the game before we saw him take a big hit in production. While he wasn't as big of a scorer as he used to be anymore, he was still a huge producer via rebounds, blocks, and just pacing the floor in general. Whereas Kobe left the game to much fanfare and much press, Duncan went out just how we expected him to.... quietly. He didn't make a big production of it, he didn't get the huge send off. He just walked away from the game. Quietly. It was truly fitting for a career like his. 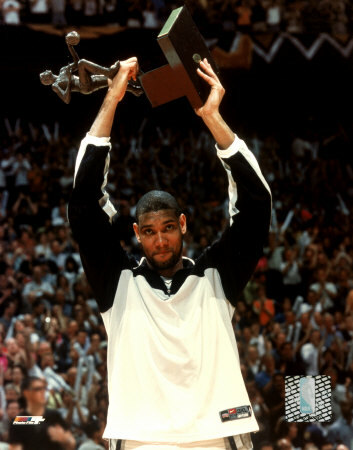 There will never be another Tim Duncan. He is, in my book, a top 10-15 player of all time, and his legacy will live on as the greatest power forward to ever play this game of basketball. 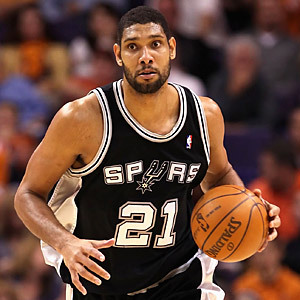 Long live The Big Fundamental.